This Friday – if you cant believe it – is the first Friday of August! 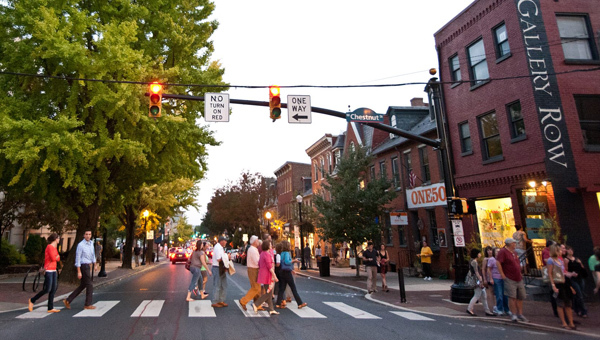 Most locals know what that means – First Friday in Downtown Lancaster. Residents come from all over the area from Manheim Township, Hempfield, Strasburg, and more to enjoy what our awesome city has to offer. First Friday happenings are largely concentrated to Gallery Row on the first and second blocks of Prince Street, and in the surrounding areas. Enjoy open galleries displaying the work of local artists, live music, shopping, and delicious dishes from local eateries. Even locals may not know that Mount Gretna also hosts a First Friday event the first Friday of each month from 5:00 – 8:00 pm. Head to Mount Gretna to enjoy an evening of art, music, and dining.